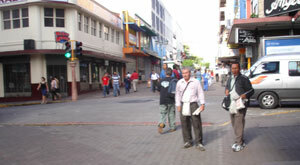 HISTORY | GEOGRAPHY | GEOLOGIC | PEOPLE | ABOUT COSTA RICA | HOW TO GET TO COSTA RICA? 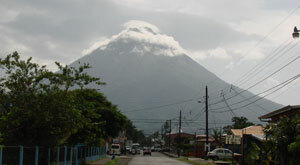 HISTORY | GEOGRAPHY | GEOLOGIC | PEOPLE | ABOUT COSTA RICA | HOW TO GET COSTA RICA? The Central Valley is a large and fertile land surrounded by mountains. 70 % of the country's population resides here. If you explore these highlands you will experience many diverse micro climates. 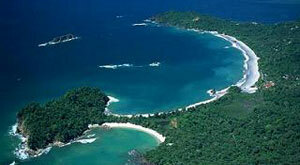 The peninsula's highlights are Flamingo Beach, Playa Conchal, Playa Tamarindo, Black Beach and Playa Avellanas. 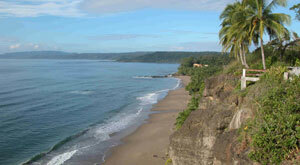 In the South Eastern side of the peninsula, Montezuma and Flamingo Beach are the most visited spots. 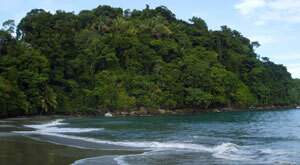 The South Pacific is a fundamental part of Costa Rica's geography in terms of biodiversity due to its maritime topography. 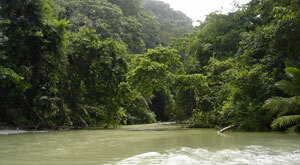 This region is located in the famous Corcovado National Park, which constitutes the largest protected area of Costa Rica and, according to National Geographic "the most biologically active area in the world."